This Thursday, Helga Anspach is our art guide, and we return to the dreamspace that is Tårnsalen in the old Lysverket (KODE 4) building and examine its architecture, quality and materials. Dionne will then lead a yoga session exploring the theme “Adapting to Change”. 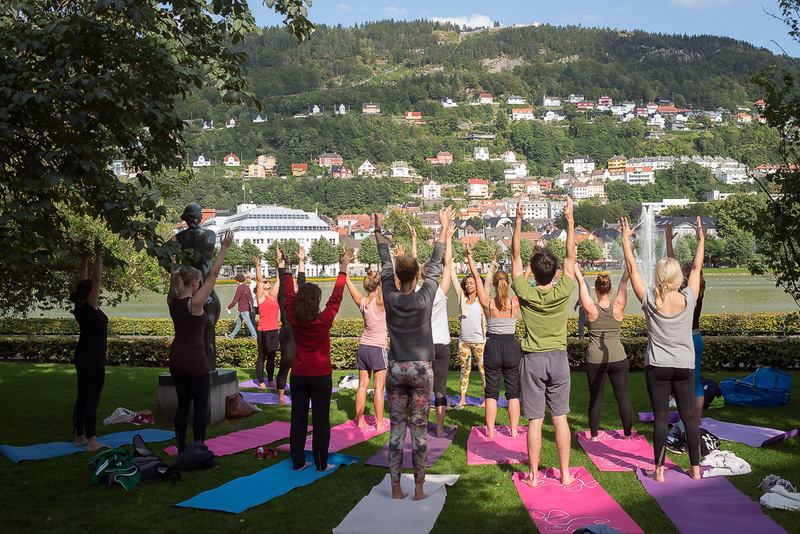 KUNST + Yoga is a series of themed events at special locations throughout the city combining the art of yoga in combination with works in the art museums of Bergen – KODE. 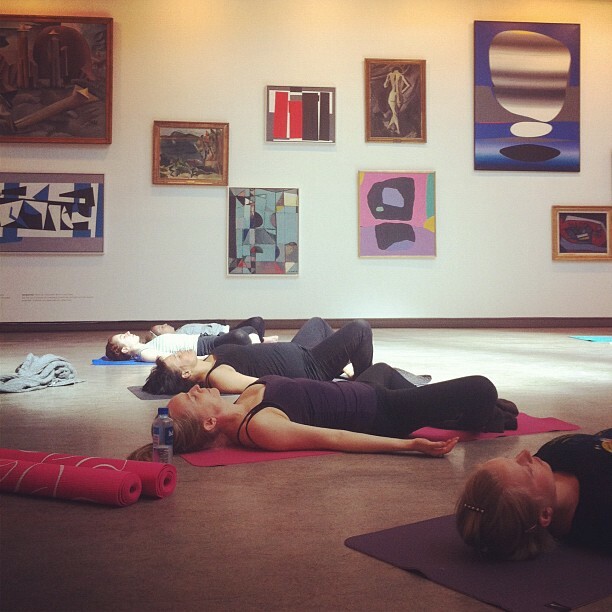 Class opens with a mini art lecture on a selected piece, followed by a themed yoga class. Try yoga with a new perspective. The project began in May 2012 following my dream to utilise the deam spaces that seemed abundant yet not utilised. I asked for a chance to use the space and it was granted (with gratitude!). 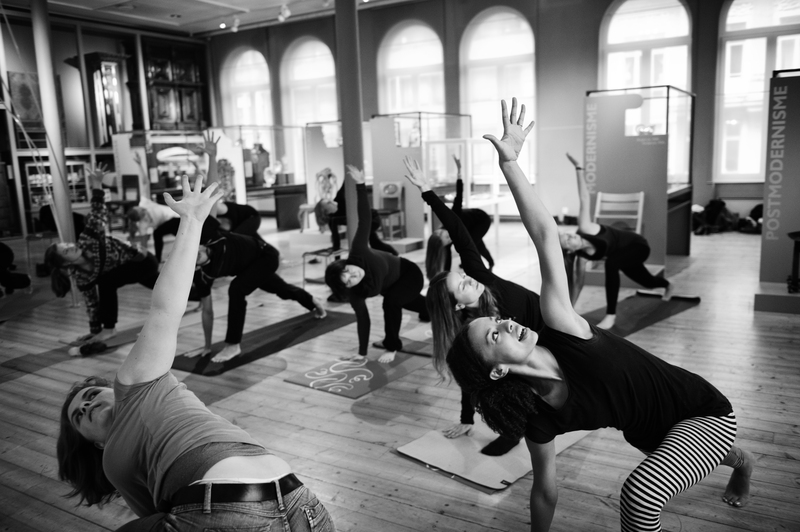 Thus was born the TRY Yoga Unleashed events series – a range of classes held in “unusual” locations in the city with the aim to provide an opportunity to experience yoga in some of the most wonderful and beautiful cultural buildings in Bergen, offering a new way to use the city. 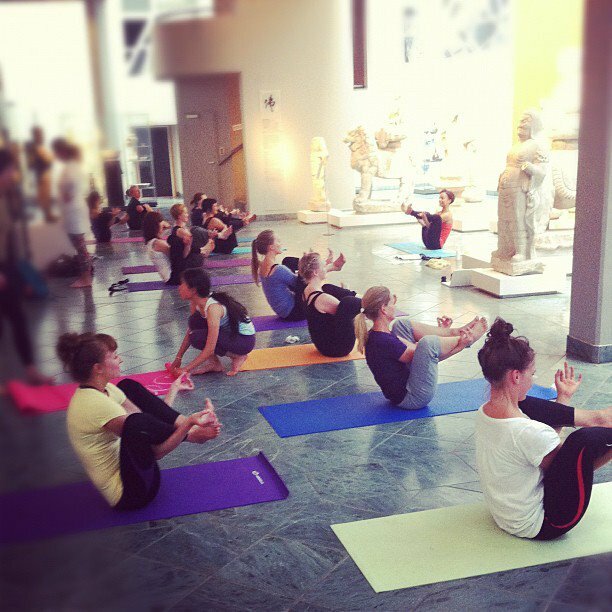 Following its success, the art museums gave me the opportunity to extend the events into a twice-weekly gathering taking yoga into the art spaces and provided the amazing opportunity to practice yoga in dream spaces, artists and works each week we explore the environment, themes and practice. 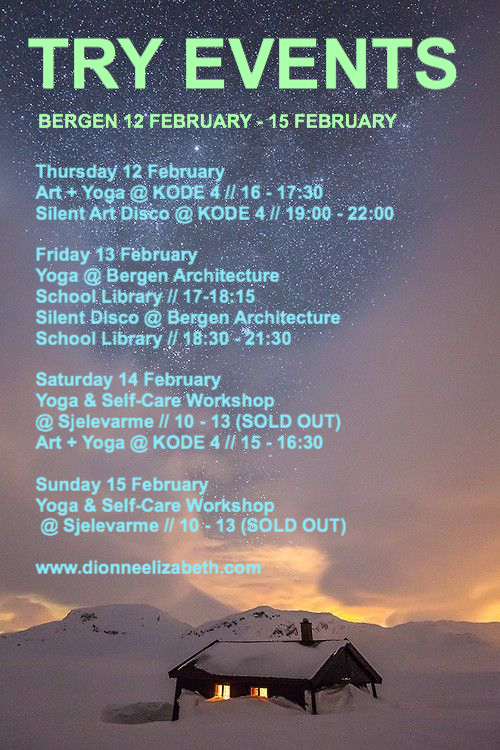 As i am now based between Brighton UK and Bergen Norway, we now continue the project with special events twice-monthly. It is my belief that we are each artists, creating and curating the lives we want to lead (at least, hopefully!) and to me art represents exploration, expression and truth, and I see yoga in very much the same way. We explore our bodies and thus our capacity, and often our limitations. We express through connecting to our experience in that present moment . And all of this is not possible without truthfulness. We have to be honest with ourselves, how do we feel, physically, emotionally, spiritually? What is going on for us if we move in a particular way? Can we truly breathe to our full capacity despite being in an awkward position? Might we change something and choose to experience it in a different way? Offer a different reaction to a situation? Reflect upon something that is presented to us and find a clearer meaning? 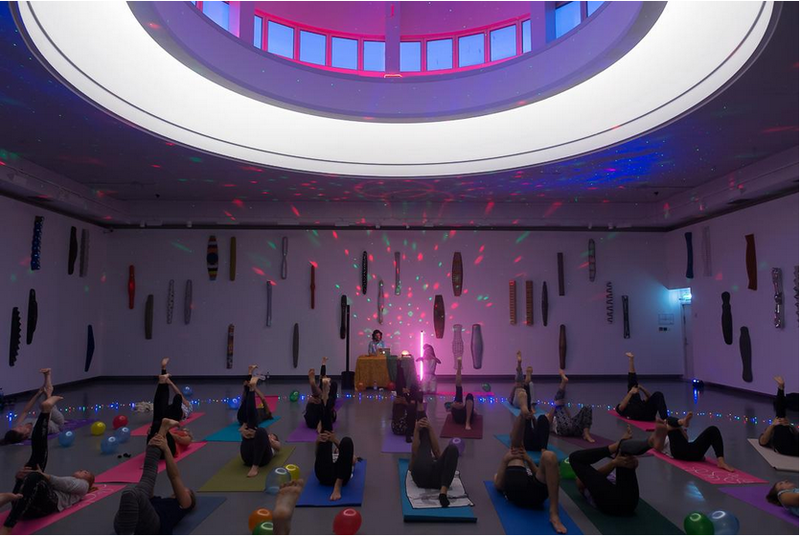 This is art, and this is yoga, on and off the mat. 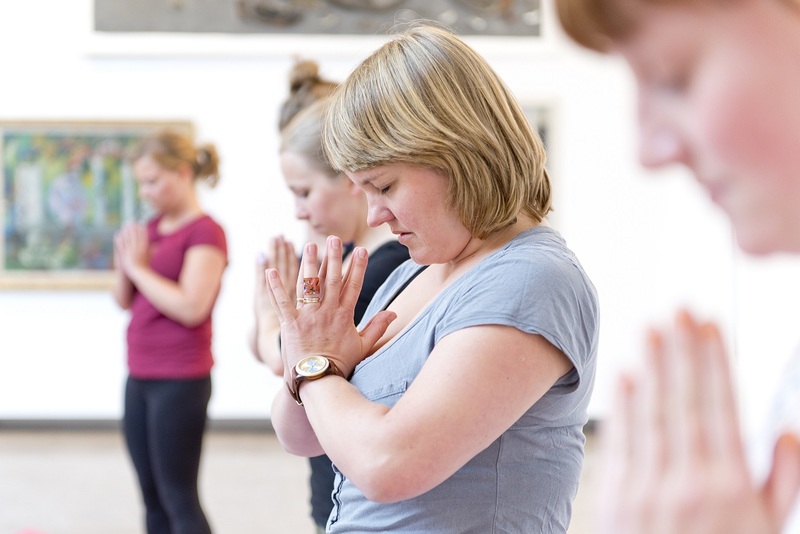 The combination of these new territories with a mini art lecture and our yoga practice is an opportunity to experience something with a new perspective. Our practice is personal, unique and perfect. A piece of art. And what´s also interesting is the chance to explore this perspective through our environment, the way we uniquely perceive art, around us and as part of us, and it´s up to us to create our own experience, in our own time and the present moment. Please see the calendar for details of the next events. Feel free to bring your own mat, or welcome to borrow from us (first come, first served). 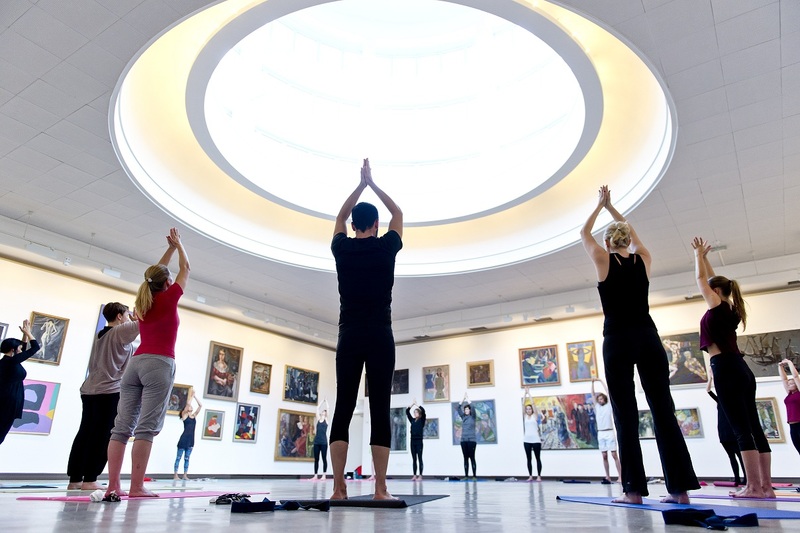 You just pay entrance into the gallery for the special event (100kr or 50kr for students), then you can use the galleries up to two days after the event to get the most out of your visit. Loveworld. More information about the project here. Never tried yoga and got some questions? Here´s a little something especially for you. I´ll post the theme and playlists on the blog and newsletter as always, you can signup here to keep up to date. Håkon Kise and crew dropped by to a KUNST + Yoga session at KODE Bergen to investigate what this art yoga project thing is all about. He speaks to Britt and Dionne about Death, Love and Yoga.